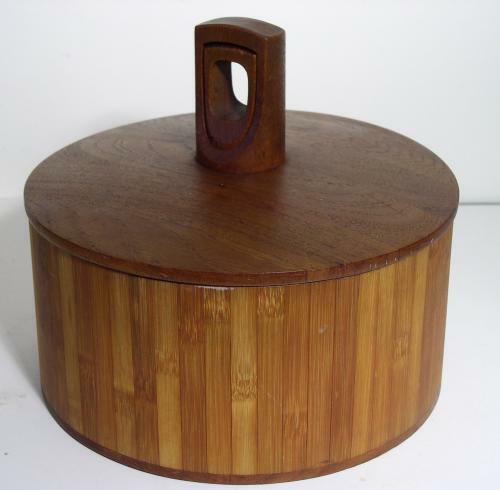 Rare Jens Quistgaard (IHQ) for Dansk International of Denmark Staved teak ice bucket or chilled food server. Nicely sculpted lid with handle that fits over central lifting post. Good condition with a Black plastic liner intact but with signs of use. Fully stamped IHQ Dansk of Denmark with Four Ducks Ducks logo.